Bulterman, D.C.A. (1992). 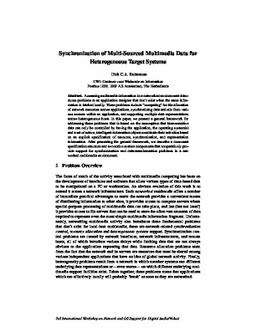 Synchronization of Multi-Sourced Multimedia Data for Heterogeneous Target Systems. In Proceedings of International Workshop on Network and OS Support for Digital Audio/Vide 1992 (3).